Renowned songwriter, singer, and wife of Waylon Jennings writes an intimate, enormously entertaining memoir of American music, of life with Waylon and the Outlaws, and of faith lost and found. But offstage, life was a challenge, as Waylon pursued his addictions and battled his demons. 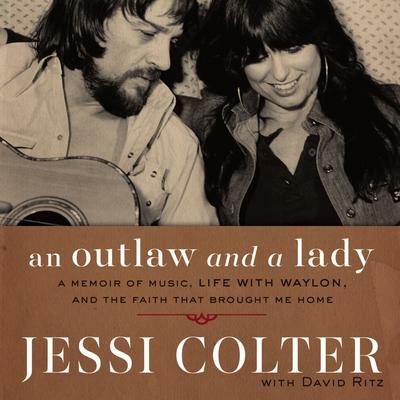 Having drifted from the church as a young woman, Jessi returned to her faith and found in it a source of strength in the turmoil of living with Waylon. In the 1980s, Waylon helped launch the super group The Highwaymen with Willie Nelson, Johnny Cash, and Kris Kristofferson, and the hits kept rolling, as did Waylon’s reckless living. Amid it all, Jessi faithfully prayed for her husband until finally, at Thanksgiving 2001, Waylon found Jesus, just months before he died. An Outlaw and a Lady is a powerful story of American music, of love in the midst of heartache, and of faith that sustains.